Kumarakom,situated 13 Kms away from Kottayam is a sleepy little village on Vembanad Lake in Kerala. It offers wide variety of flora, exotic sightseeing, boating and fishing experience. The beautiful paradise stocked with mangrove forests, emerald green paddy fields and coconut trees comprises with water ways and canals adorned with white lilies enchants the tourist from world over. The National Geographic Magazine has listed Kumarakom as one of the must-see places in a lifetime. The land is famous for it's painstakingly hand craft each exquisite piece still made in a traditional way. Vemanad Lake is home to several types of marine life exclusively the Chemeen (Prawns), the Konju (Tiger Prawns) and Karimeen. Kumarakom will be a perfect choice for you to spend your quality time with your family. Lot of things awaits you at Kumarakom? make a visit to the bird sanctuary, which spreads across 14 acres. This sanctuary is a safe home for many migratory birds like Siberian stork, wild duck etc. They live with other birds in flocks such as darters, herons, egret, waterfowls and cuckoos are fascinating sight for the visitors. Come and get excited with the sites of migratory birds like Siberian crane, parrot, flycatcher etc and forget all the worries in your life. 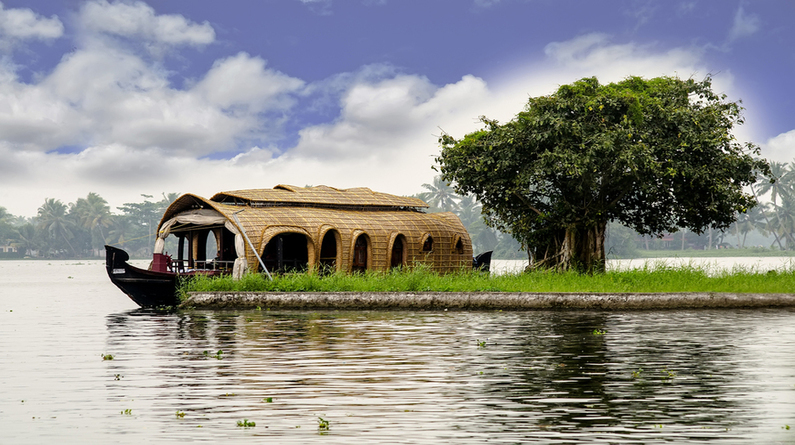 Houseboats are one of the unique feature of Kumarakom tourism. Majority of the tourists visiting Kumarakom ask for a trip in these houseboats, enjoying the beautiful backwater and the cool air around. These houseboats are made in the format of traditional 'Kettuvallams', which will make you feel the rich traditions of 'God's Own Country'. You can have a cruise through the Vembanad lake and Alappuzha backwaters. Experience the typical Kerala cuisines while having a calm voyage through the backwaters. Try to have a trip to the beautiful island 'Pathiramanal', 40 minutes away from Kumarakom. There is a waterfall at Kumarakom? Aruvikuzhi, which is worth visit. The 100 ft tall waterfall is one of the best spot for trekking. Other interesting spots around Kumarakom are Aymanam, Kudamaloor, Pallikoodam, Kallara, Nattakom and Panachikadu reservoir, Thazhathangadi, Thanneermukkam bund etc. A day at Kumarakom will always bring freshness in you. You will be getting a very rare chance to get indulge with the greenish environment here. By Air : 85 Km from Cochin International Airport and the 250 Km from Trivandrum International Airport. By Rail : 16 Km from Kottayam. By Boat : From Muhamma (near Alappuzha) to Kumarakom Jetty. 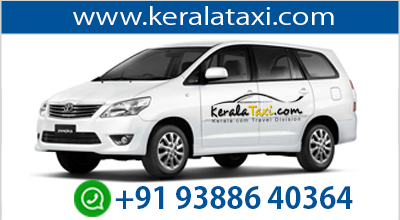 By Road : Buses and Taxis are easily available at all time of the day from Kottayam.